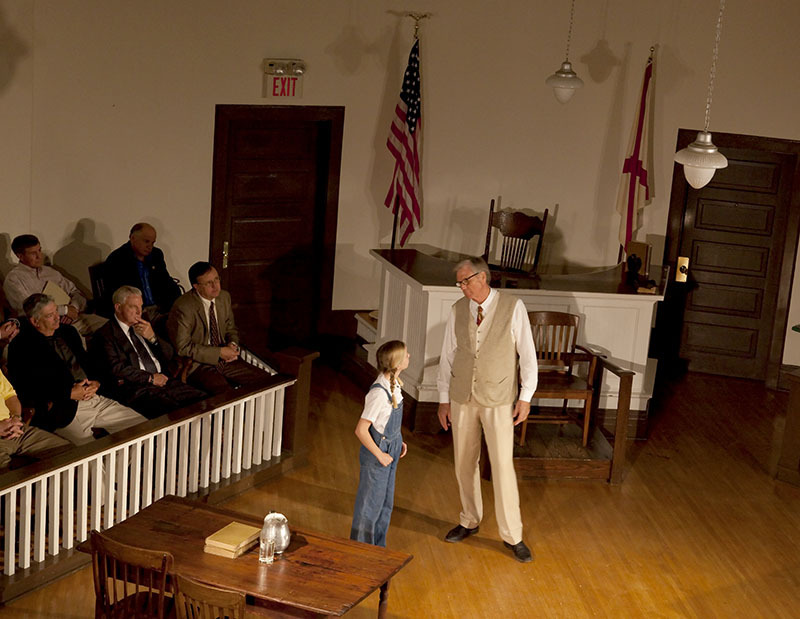 Atticus and Scout Finch are portrayed by local actors in Monroeville's 2010 annual theatrical production of To Kill A Mockingbird, adapted from Harper Lee's novel by Christopher Sergel. The performance takes place at the original Monroe County courthouse. Courtesy of The George F. Landegger Collection of Alabama Photographs in Carol M. Highsmith's America, Library of Congress, Prints and Photographs Division.